As a reporter, myself, seeing the artwork for the Newsies makes me happy. Spreading the word about what's going on in the world is important. And these little tykes are letting us know all about it. However, while the Newsies might be letting you know what's up, Wyrd is being more tight-lipped about them and what they'll be used for. Extra Extra! 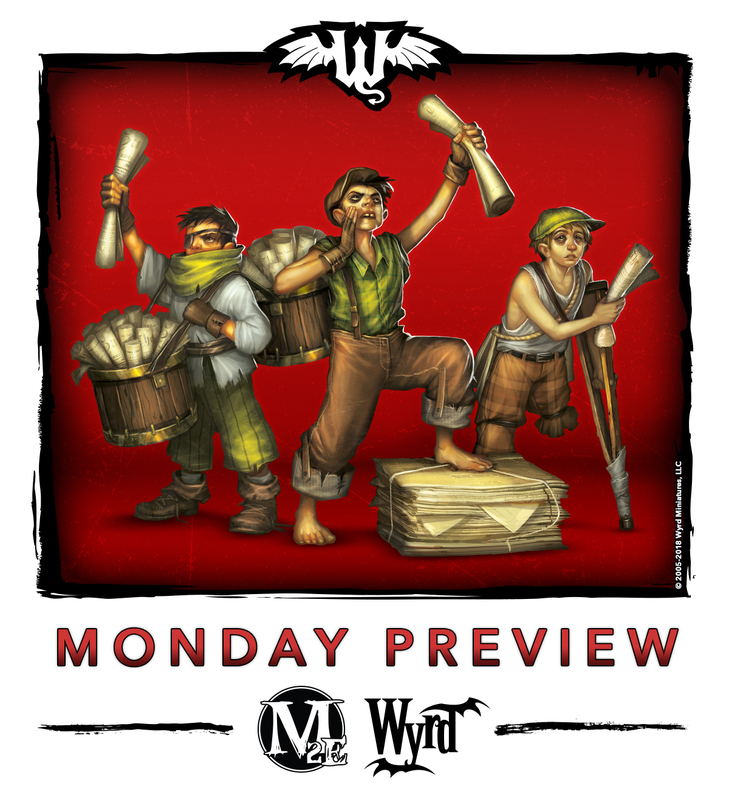 We got the freshest Monday previews this side of the Breach! Come and take a look at the paper hustling Newsies! You can also head over to our Forums to speculate wildly about these young gents.